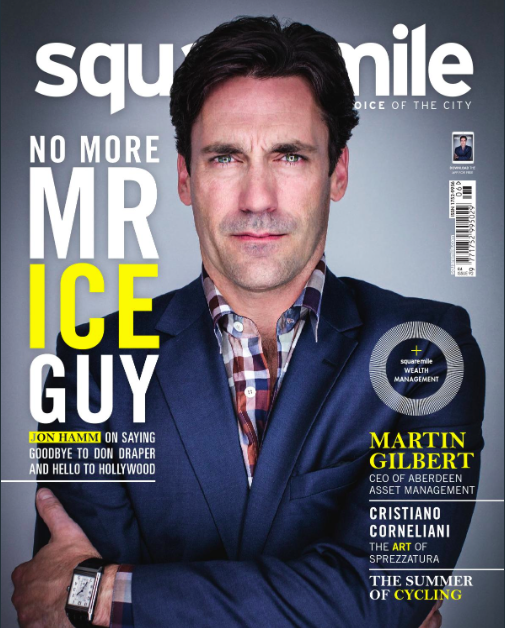 Square Mile Magazine, 2014. Original article (p84-85). Who will look after the baby boomers’ pensions? Now that the Chancellor has rewritten the book on retirement funding, wealth managers are eyeing a rare opportunity to take a sizable chunk of this market. £12 billion was spent on annuities last year, as regulation meant the guaranteed income scheme was mandatory for many pensioners. As this will no longer be the case, insurers are licking their wounds as the annuity market is expected to fall by two-thirds over the next 18 months, according to Barclays Equity Research, or possibly even become extinct altogether. The effect won’t be immediate for the wealth management sector, as the pension changes won’t come into effect until next April. But reports from leading providers have suggested annuity sales have halved since the news, as people are delaying purchases to review their options in light of the new situation. Bank of America Merrill Lynch estimates the opportunity could be worth £6 billion for the wealth management industry, and this is at the conservative end of the spectrum. As wealth managers are exploring how to best respond to this opportunity, Hawkins believes we can expect to see innovation in both products and packaging, as providers will be looking at their offerings with fresh eyes. “People may take an added interest in their pensions now that there’s this added motivation [of more choice]. There’s an opportunity to make pensions simple and engaging,” says Hawkins, stressing there will be a strong need to provide proper guidance. Because the freedom to build our own pensions also comes with hefty dose of risk. “We will see more awareness around how to structure income in retirement,” says Ian Price, Divisional Director of Pensions at St. James’s Place Wealth Management. “But annuities will still remain relevant for many people, because the one thing no one knows is how long they are going to live.” While critics point to annuities becoming increasingly more expensive, they do shift the risk of longevity and investment value fluctuations onto the provider – a feature which will undeniably remain attractive for many pensioners. This has already started to happen: only 27% of professionals plan to rely on just on a pension for retirement income, according to a survey by Wesleyan Assurance Society released in May. While two-thirds of respondents admitted to be in the dark about how much their current pension arrangements are worth, over half said they plan to use property to generate additional funds. Stoll also points to other factors, particularly in regards to tax, which will effectively restrict choice: “The new regime will not necessarily provide as much flexibility for all as heralded, and individual bespoke advice will remain as important as ever”. Posted on 07/13/2014 by Jess. 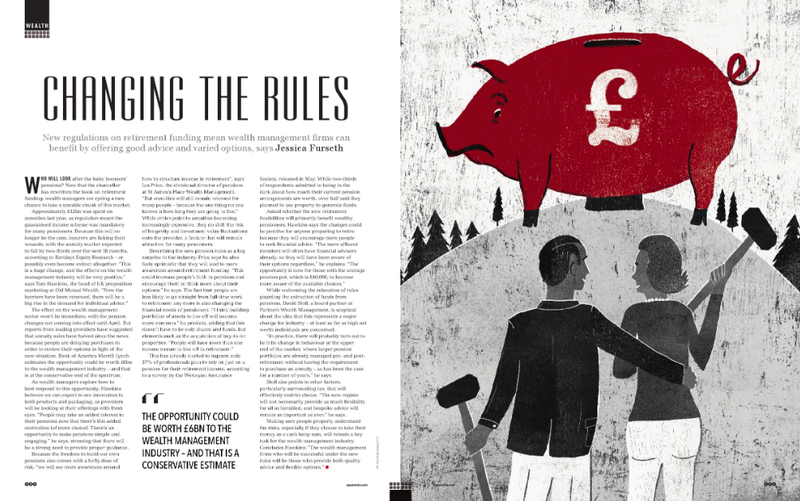 This entry was posted in Investment and the market and tagged finance, investment, pensions, regulation, square mile magazine, wealth management. Bookmark the permalink.